About Trubee, Collins & Co, Inc. About Us – Trubee, Collins & Co., Inc.
Trubee, Collins & Co., Inc. is one of the oldest, independently-owned brokerage companies in Western New York. 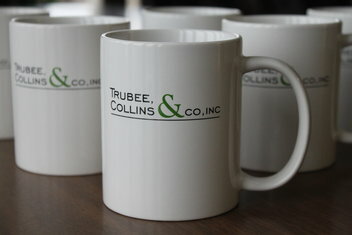 Established in 1940, Trubee, Collins & Co., Inc. has earned the respect of our clients by demonstrating competence, integrity and a solid long term investment philosophy. The company offers a wide range of investment services for individuals, small businesses, corporations and philanthropic organizations. We emphasize the development of long-term relationships with our Clients. Our advisors have a clear understanding of the different types of investments and various applications for use in a complex global financial environment. We view our independence as a strength in that we are not limited to the investment offerings of any particular firm but can select from the best opportunities available. With a panoramic view of historic downtown Buffalo, Trubee Collins has been located on the 13th floor of the M & T Bank Plaza since it was built in 1967.